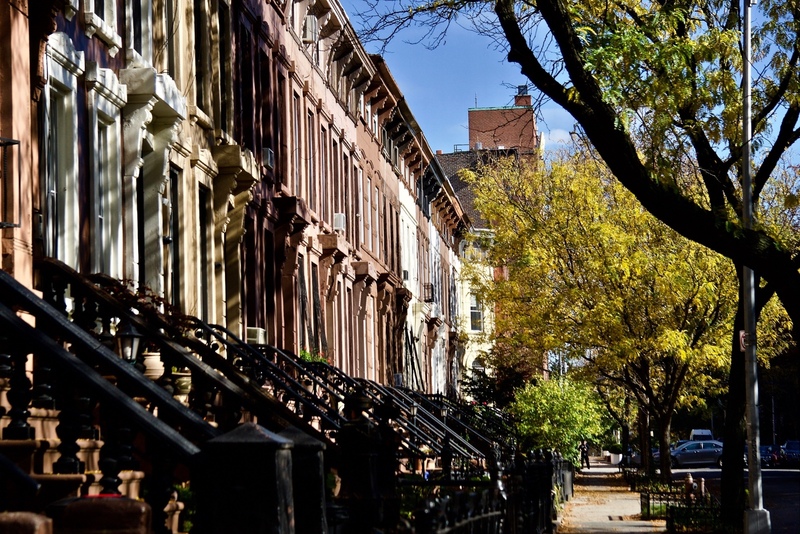 In recent years, Bed-Stuy has seen a rapid influx of new construction and new residents. Along with new residents and new inventory, rents have also risen, with the median now clocking in at $2,450. Although prices have gone up, rent here is still below the overall borough median of $2,533 per month. Despite all these changes, the neighborhood has kept its close, communal feeling. Neighbors truly do look out for one another. I lived in Bed-Stuy just after moving to New York, and know this from experience. A neighbor once helped me move a load of heavy boxes into my apartment from a ZipCar after I severely underestimated my upper-body strength. Come summer time, I fell in love with the street life. 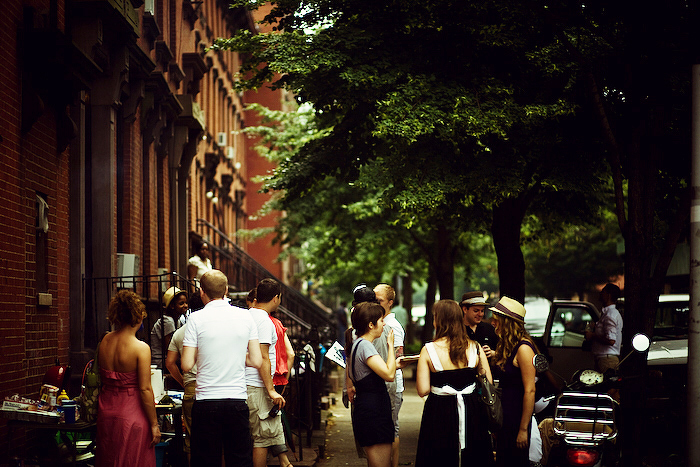 On any given weekend afternoon from June through September, the streets in Bed-Stuy buzz with block parties and barbecues. If you live in Bed-Stuy, you’ll come to associate the smell of charcoal grills and the sight of neighbors hanging out on the stoop with summer in the city. 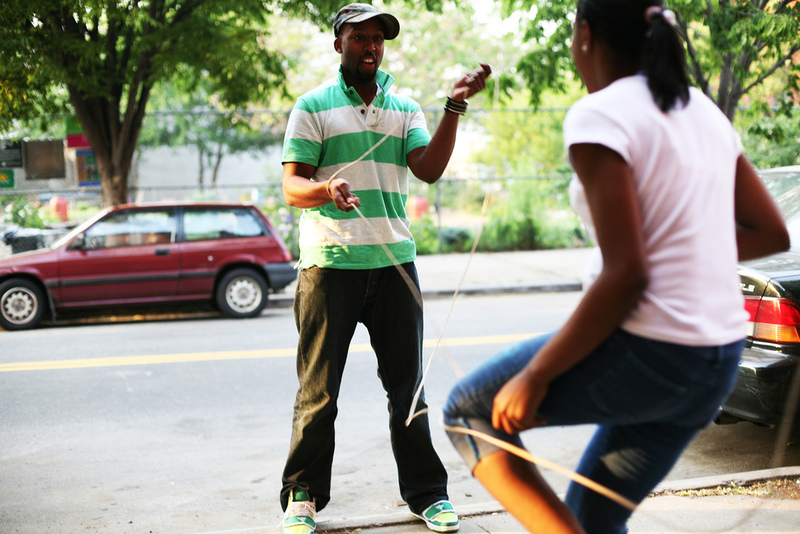 For a central Brooklyn neighborhood, Bed-Stuy has quite a bit of transportation options. The A and C trains run below Fulton Street; the G train cuts through the center of the neighborhood; and the J, M, and Z line runs along the outer edges of Flushing Avenue and Broadway. While there are multiple lines to choose from, the commute can still be a bit of a drag. It takes about 40 minutes on the A train to get to Midtown from the Utica Avenue station. Several bus lines offer residents an alternative for getting around Brooklyn, including the B43, B44, B15, B38, B46 and B26. Citi Bike has also ramped up in the area, with an impressive 15 stations. 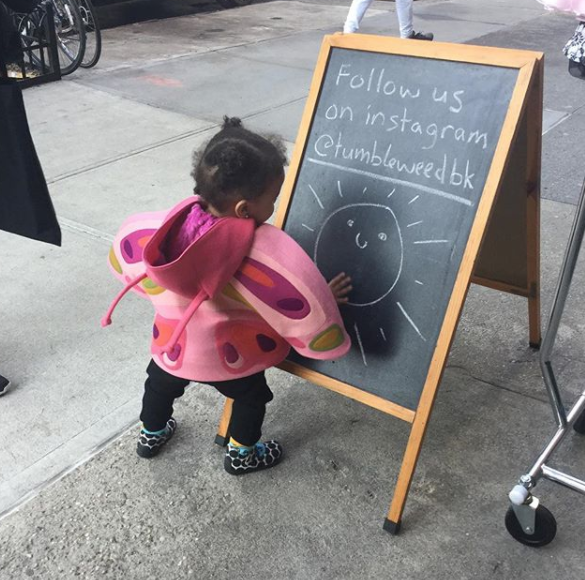 Business is booming in Bed-Stuy, with new storefronts opening all the time. The main shopping thoroughfares are Bedford, Nostrand, and Lexington avenues, plus Fulton Street. Although Bed-Stuy once lacked full-service grocery stores, the neighborhood now boasts two great options: Super Foodtown in Restoration Plaza, and Bed-Stuy Fresh and Local, which supplies organic produce at reasonable prices. There are also tons of small, locally owned shops, which help bolster the neighborhood’s community vibe. At the BGLH Marketplace, a natural hair and beauty store on Kosciuszko Street, you can pick up shea butter skincare. The Tumbleweed General Store is an excellent gift shop, great for affordable finds like decorative candles, funky jewelry, and baby clothes. If you’re looking for something higher-end, there’s no longer a need to leave the hood. The Meat Market and Sincerely, Tommy can fulfill your boutique shopping needs. The Meat Market offers a variety of fun vintage clothing for men and women, while Sincerely, Tommy will help you embrace your inner minimalist. Although you won’t find an Exhale in Bed-Stuy (yet), the neighborhood has plenty of options to keep you fit. The YMCA on Bedford offers tons of classes for both adults and kids, and even has a 25-yard indoor swimming pool. There are also two Blink locations, which offer inexpensive monthly rates and are great for people who don’t need a spa experience after their workout. Newcomer Namastuy offers yoga classes for all levels, while Sacred Studios offers both dance classes and yoga. This neighborhood has too many good restaurants to list them all, but here are some of our favorites. A&A Bake and Doubles Shop: Best Trinidadian snacks in NYC. 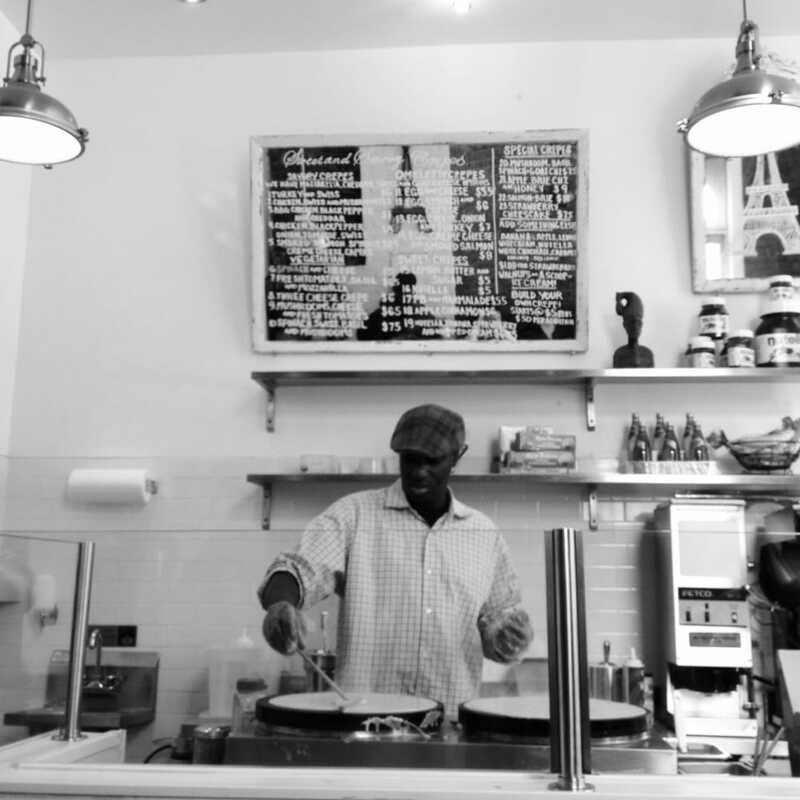 Le Paris Dakar: A laptop-friendly coffee shop offering both savory and sweet crepes. MacDonough Café: Organic coffee, pastries and sandwiches at good prices. Saraghina: Best pizza in the neighborhood. Peaches Hot House: Amazing prices and amazing takes on Southern comfort favorites. Eva Jean’s: Great spot for weekend brunch or weeknight cocktails, offering high-quality ingredients and service. Bed-Vyne Cocktail and Brew: Ten craft beers on tap, with a seasonal menu of cocktails. Check out the back patio. Dynaco: A cozy bar with a fireplace in the back. The drinks are top-notch, but this place is cash-only. Lovers Rock: Rum-forward tropical drinks in a casual, reggae-fueled ambiance. There’s a live DJ just about every night. Bedford Hall: Great place to gather with a large group of friends. The game room is a perfect spot for parties.